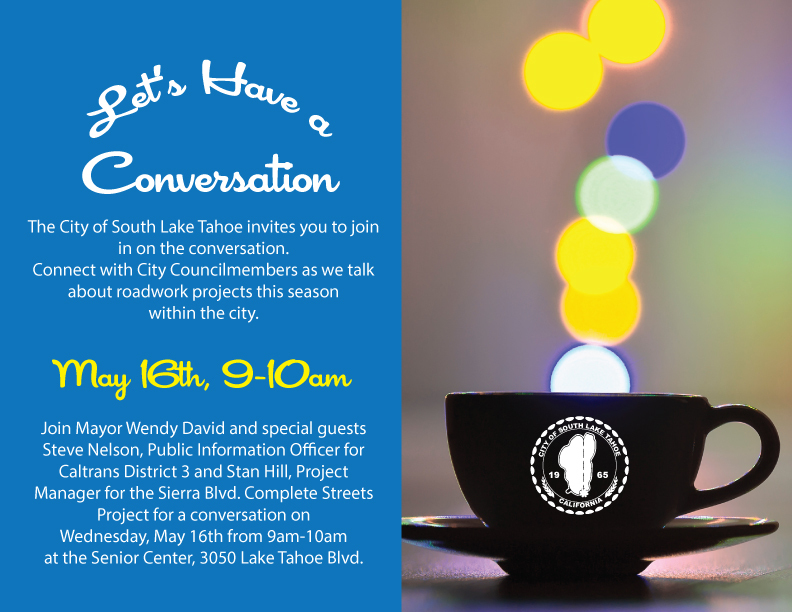 Please join Mayor Wendy David for the May “Let’s Have a Conversation” and special guests Steve Nelson, Public Information Officer for Caltrans District 3 and Stan Hill, Project Manager for the Sierra Blvd. Complete Streets Project and we’ll be talking about the roadwork projects for this season within the City of South Lake Tahoe. Join us on Wednesday, May 16th at 9am at the Senior Center located at 3050 Lake Tahoe Blvd.